The Sudanese Armed Forces are the Armed Forces of the Republic of the Sudan. According to 2011 IISS estimates, it numbers 109,300 personnel. They comprise the Land Forces, the Sudanese Navy, the Sudanese Air Force, and the Popular Defence Forces. They also previously had Joint Integrated Units formed together with its rebel enemies the Sudan People's Liberation Army. The Armed Forces operate under the authority of the People's Armed Forces Act 1986. In 1991, the Library of Congress used the term "Sudan People's Armed Forces" to refer to the entire armed forces, but by the late 2000s (decade), the "Sudanese Armed Forces" term was most widespread. In 2004, the Federal Research Division of the Library of Congress estimated that the Popular Defence Forces, the military wing of the National Islamic Front, consists of 10,000 active members, with 85,000 reserves. It has been deployed alongside regular army units against various rebel groups. Until the second half of 2002, Sudan's economy boomed on the back of increases in oil production, high oil prices, and large inflows of foreign direct investment. GDP growth registered more than 10% per year in 2006 and 2007. From 1997 to date, Sudan has been working with the IMF to implement macroeconomic reforms, including a managed float of the exchange rate. Sudan began exporting crude oil in the last quarter of 1999. Lt. Gen. Ahmed Awad Ibn Auf is a Sudanese politician and Sudanese Army lieutenant general who served as the de facto Head of State for one day from 11 April 2019 to 12 April 2019 after taking part in the 2019 Sudanese coup d'état. Auf previously served as the Minister of Defense in Sudan from 23 August 2015 to 14 April 2019, and the First Vice President of Sudan from February to April 2019. The Vice President of Sudan is the second highest political position obtainable in Sudan. Currently there is a provision for two Vice Presidents, who are appointed by the President of Sudan. Historically either the First or the Second Vice President was from Southern Sudan. Since 2011, the Second Vice President has been from Darfur. 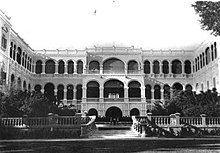 The Council of States is the upper house of the parliament of Sudan. Comprehensive Peace Agreement (CPA) caused establishment of bicameral National Legislature, whose members were chosen in mid-2005. The upper chamber is Council of States, which had 54 members. After the independence of South Sudan, the legislature was reduced to 32 members. The members are indirectly elected by state legislatures. Members serve five-year terms. The National Legislature, which includes the Council of States, was dissolved on 11 April 2019 following the overthrow of President Omar al-Bashir and his National Congress of Sudan in a military coup. The Revolutionary Command Council for National Salvation (RCCNS-Sudan) was the governing body of Sudan following the June 1989 coup. It grew out of the collaboration between the Sudanese military and the National Islamic Front. It was the authority by which the military government of Sudan under Lt. Gen. Omar al-Bashir exercised power. Ibrahim Mahmoud Hamad is a Sudanese politician of the National Congress Party, who governed Kassala State from 2006 until 2008, whereupon he adopted the position of Minister of the Interior in the Ministry of Interior Affairs. He is noted for his liaison with United Nations peacekeeping forces in Sudan, and the 2009 Sudanese nomadic conflicts. Following the April 2019 Sudanese coup, Hamad lost his position as Minister of Interior. The former Interior Minister was arrested on April 14, 2019 for his role in the crackdown of people protested the rule of former President Omar al-Bashir. 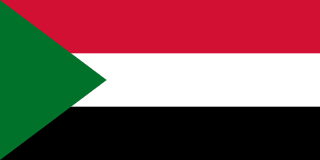 The last Constitution of Sudan was the Interim National Constitution of the Republic of Sudan, 2005 (INC), adopted on 6 July 2005. Since 11 April 2019, the Constitution of Sudan has been suspended by Lt. Gen Ahmed Awad Ibn Auf. The Cabinet of Sudan is the chief executive body of the Republic of Sudan. The cabinet was dissolved on April 11, 2019 following a military coup. The Defense Minister who led this coup was later removed on April 14, 2019 as well. The 1989 Sudanese coup d'état was a military coup that occurred in Sudan on 30 June 1989 against the democratically elected government of Prime Minister Sadiq al-Mahdi and President Ahmed Al-Mirghani. The coup was led by military officer Omar al-Bashir who took power in its aftermath and would go on to rule the country for the next 30 years until he was overthrown in 2019. Bakri Hassan Saleh is a Sudanese politician who served as Prime Minister of Sudan from March 2017 until September 2018 and First Vice President of Sudan from December 2013 until February 2019, when he was dismissed. The Arab world protests, also referred to as the New Arab Spring or Arab Spring 2.0, are massive anti-government protests in several Arab countries, including Algeria, Iraq, Jordan, Libya, Morocco and Tunisia. Economic protests also took place in the Gaza Strip. Sudan has been the scene of violent protests, resulting in the overthrow of president Omar al-Bashir in a military coup d'état. The protests resemble the earlier Arab Spring wave of pro-democracy protests from 2010 to 2012. Alaa Salah is a Sudanese student and anti-government protestor. She gained attention from a picture of her taken by Lana Haroun that went viral in April 2019. The image of Salah has been dubbed as "Woman in White" or "Lady Liberty" of Sudan. 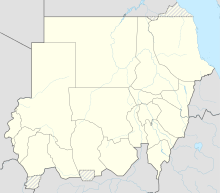 The Transitional Military Council is the current military junta governing the Republic of the Sudan. It was established on 11 April 2019 after the 2019 Sudanese coup d'état, and is headed by Abdel Fattah Abdelrahman Burhan, Inspector of the Armed Forces, after Ahmed Awad Ibn Auf resigned as leader one day following the coup. ↑ "Timeline: Four months of protests in Sudan". France 24. 11 April 2019. Retrieved 13 April 2019. 1 2 El Sirgany, Sarah; Elbagir, Nima; Abdullah, Yasir (11 April 2019). "Sudan's President Bashir forced out in military coup". CNN. Retrieved 12 April 2019. ↑ "Several killed in Sudan as protests over rising prices continue". Al Jazeera. 21 December 2018. Retrieved 21 December 2018. ↑ "Sudanese police fire on protests demanding president step down". The Guardian. 17 January 2019. Retrieved 17 January 2019. ↑ Osha Mahmoud (25 December 2018). "'It's more than bread': Why are protests in Sudan happening?". Middle East Eye. Retrieved 2 January 2019. ↑ Khalid Abdelaziz (23 February 2019). "Day into emergency rule, Sudan's Bashir names VP and prime minister". Reuters. ↑ Mohammed Alamin (22 February 2019). "Sudan's Al-Bashir Declares State of Emergency for One Year". Bloomberg. Retrieved 23 February 2019. ↑ Sarah El Sirgany, Nima Elbagir and Yasir Abdullah. "Sudan's President Bashir forced out in military coup". CNN. 1 2 Osman, Muhammed; Bearak, Max (11 April 2019). "Sudan's military overthrows president following months of popular protests". The Washington Post. Retrieved 11 April 2019. ↑ "Sudanese protesters reject army procedures, decide to continue sit-in – Global Times". www.globaltimes.cn. Retrieved 12 April 2019. ↑ "Bashir's Supporters Plan Rival Sudanese Rally to Defend His Rule". Bloomberg News. April 10, 2019. ↑ "Soldiers raid Bashir's ruling party offices: witnesses". www.nation.co.ke. Daily Nation. Retrieved 11 April 2019. 1 2 "'We are not greedy for power': Sudan army promises civilian gov't". Al Jazeera. 12 April 2019. Retrieved 12 April 2019. 1 2 "Head of Sudan military council steps down one day after long-time leader Bashir toppled in coup". euronews. 12 April 2019. Retrieved 12 April 2019. ↑ "The Latest: Sudan's post-coup transitional leader steps down". SFGate. 12 April 2019. Retrieved 12 April 2019. ↑ "Sudan defense minister steps down as head of transitional military council". english.alarabiya.net. Retrieved 12 April 2019. ↑ "Sudan's Ibn Auf steps down as head of military council". www.aljazeera.com. Retrieved 12 April 2019. ↑ AfricaNews (12 April 2019). "Sudan coup leader resigns, protesters celebrate 'triumph'". Africanews. 1 2 3 "Sudan replaces military leader linked to genocide, rejects extraditing ex-president Social Sharing". CBC News. April 12, 2019. ↑ "Sudan protesters defy military curfew". BBC News. 11 April 2019. 1 2 "Sudan's security and intelligence chief resigns, as new leader lifts night curfew". France 24. 13 April 2019. 1 2 3 "Sudan's intelligence chief Salah Gosh resigns: Military council". Middle East Eye. ↑ "Sudan intelligence chief Salih Ghosh resigns day after president Omar al-Bashir toppled by army". Firstpost. 1 2 "Sudan's military holds talks with protesters as curfew lifted". www.aljazeera.com. ↑ (in Arabic) "الحزب الشيوعي السوداني Sudanese Communist Party-SCP". www.facebook.com. Retrieved 11 April 2019. ↑ Magdy, Samy (2019-04-15). "Sudan's protesters voice optimism after talks with army". AP NEWS. Retrieved 2019-04-15. ↑ "African Union sets deadline for Sudan power transfer". www.aljazeera.com. Retrieved 2019-04-17. 1 2 3 Farai Sevenzo, Sarah El Sirgany and Nima Elbagir, Sudan will prosecute Bashir but won't hand him over, military says, CNN (April 13, 2019). ↑ Maggie Michael. "Sudanese Army Won't Extradite Deposed President Omar al-Bashir". Associated Press. Retrieved 12 April 2019. ↑ "The Latest: Sudan's post-coup transitional leader steps down". Associated Press. 12 April 2019. Retrieved 12 April 2019. 1 2 "Sudan's military removes al-Bashir: All the latest updates". Al Jazeera . Retrieved 12 April 2019. ↑ Mbewa, David Ochieng. "African Union criticises military takeover in Sudan" . Retrieved 12 April 2019. ↑ "EU Follows Situation In Sudan, Delegation In African Country Continues Work - Spokeswoman". UrduPoint. Retrieved 12 April 2019. ↑ Mackintosh, Eliza; Griffiths, James (11 April 2019). "Sudan's Omar al-Bashir forced out in coup". CNN . Retrieved 12 April 2019. ↑ étrangères, Ministère de l'Europe et des Affaires. "Soudan – Q&R – Extrait du point de presse (11.04.19)" (in French). France Diplomatie : Ministère de l'Europe et des Affaires étrangères. Retrieved 13 April 2019. ↑ Şimşek, Ayhan. "Germany calls for peaceful solution to Sudan crisis". Anadolu Agency . Retrieved 12 April 2019. ↑ "Russian Lawmakers Criticize Sudan Coup as 'Unconstitutional'". The Moscow Times . 11 April 2019. Retrieved 13 April 2019. 1 2 "Sudan's protesters stand firm for civilian rule". The Economist . 15 April 2019. ↑ "Erdogan hopes Sudan will return to 'normal democratic process'". Yahoo! News. Agence France-Presse. 11 April 2019. Retrieved 12 April 2019.